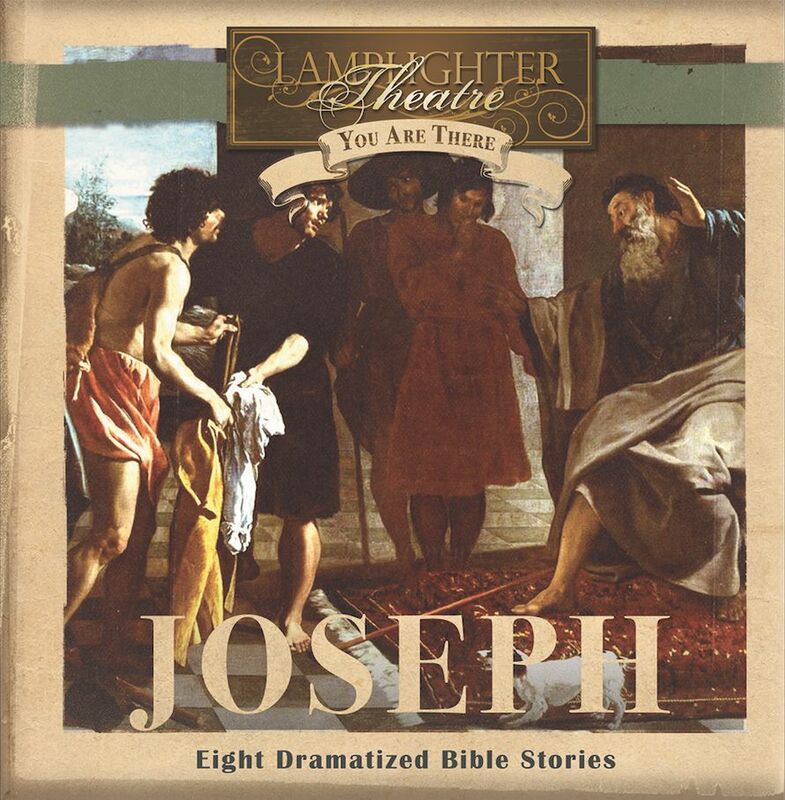 Skillfully written and dramatized with sound effects and music, this production brings to life the Biblical story of Joseph. True to the Word of God, You Are There–Joseph will bring new understanding of the historical setting of a favorite Bible story from the book of Genesis. Close your eyes and listen . . . you have gone back in time to the life of the man named Joseph. Overhear Joseph’s brothers plotting to kill him, listen to Joseph’s cry as his brothers leave him in the well, share in Jacob’s grief at losing his son. Thrill at God’s intervention in caring for Joseph and bringing him from dungeon to palace. Joseph: the man whom God used to change the course of history for the nations of Israel and Egypt. YOU MEANT IT FOR EVIL BUT GOD MEANT IT FOR GOOD. All of the elements–scripting, casting, music, sound effects, mixing–are combined into succinct, stimulating presentations of Biblical events. I reccomend this series to anyone who is looking for a teaching tool that would bring dynamic, pulsating life to Biblical happenings. Grew up listening to these and glad to get to hear them again and share with my children! Brings me back, found memories! From Jeff &amp; Samantha Peachey of McVeytown, Pennsylvania on 1/28/2018 . My children love the audio dramas Lamplighter produces. I wasn't sure they would be as interested in the "You are There" series but they keep asking for more. I love purchasing your books because I can trust they are good, wholesome stories and that they always have something valuable to teach all of us. From David Esh of Narvon, Pennsylvania on 3/20/2017 . Our son Caleb is down syndrome. He enjoys these stories tremendously. He has a job putting gutter hangers together and is able to listen to these stories while he works. They are a tremendous blessing to him. From Anonymous of Wadsworth, Ohio on 4/15/2016 . Portrayed the important principals for us through Joseph's life! We find more courage as we listen to the experience of another! !